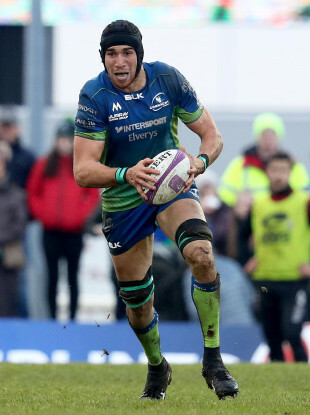 ULTAN DILLANE WILL be part of Connacht’s matchday 23 for Saturday’s trip to Treviso before returning to rejoin Ireland’s Six Nations camp. Dillane has been named among the replacements for the game in the Stadio Monigo [kick-off 12pm Irish time] but will return home afterwards while the majority of the squad travel on to South Africa for their meeting with the Chiefs on 3 March. Treviso come into the game on the back of five straight wins in the Pro14, including a big win over Scarlets a fortnight ago. But Kieran Crowley’s hand is severely weakened with no fewer than 12 players away on international duty with Italy and a further seven ruled out through injury. Connacht welcome back Tiernan O’Halloran, who missed the defeat to Zebre through injury, while Niyi Adeolokun is passed fit to take his place among the replacements. Denis Buckley and Jarrad Butler both return to the pack. “We have a number of players coming back from injury which will be a big boost against Treviso on Saturday,” Connacht coach Kieran Keane said. “They are on a great run of wins and I’m sure they will be targeting us especially when they have been so competitive at home this season. “The majority of the squad will travel on to South Africa, but we have put plans in place for replacements to join the squad after the game in Italy. Email “Dillane named on the bench as Connacht steel themselves for tricky Treviso”. Feedback on “Dillane named on the bench as Connacht steel themselves for tricky Treviso”.